Vitra Fernando the Fish Nelson Wall Clock. The George Nelson Fernando the Fish Clock is a beautiful and happy modern wall clock! Perfect for children and adults who are young at heart. 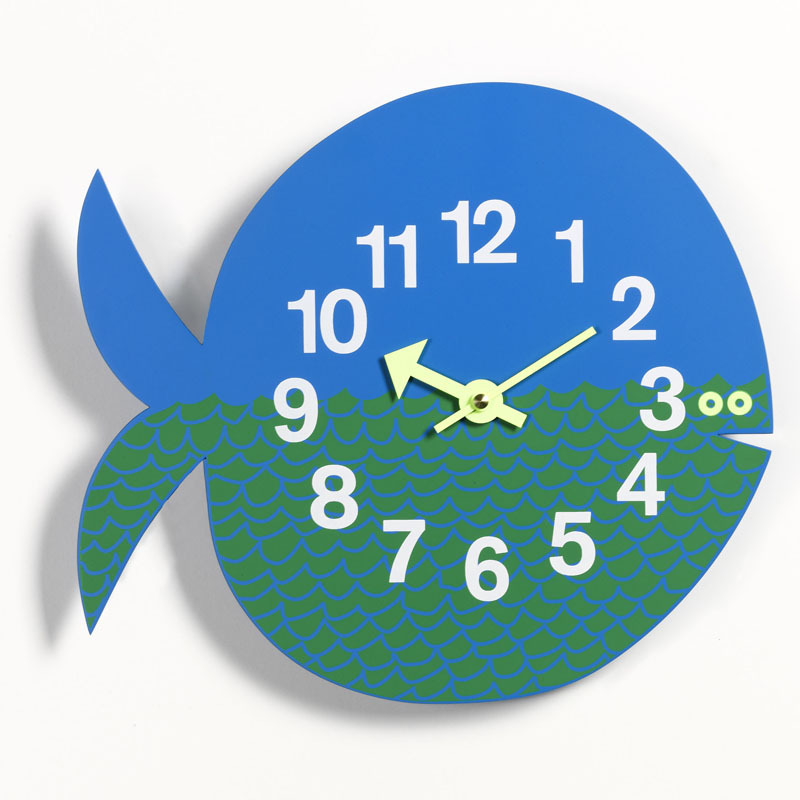 Nelson's "Fernando the Fish" Vitra wall clock will definitely brighten up any room. George Nelson designed the Fernando the Fish Clock in 1965. It was part of his happy animal-inspired Zootimer Clock series. The whimsical Nelson Fernando the Fish Clock has become a classic icon of modern design. This George Nelson clock is an authentic Vitra re-edition, fully authorized by the George Nelson estate. The Fernando the Fish Clock is easy to attach to your wall and works with one AA battery.